These Caterpillars have been found in the leaf litter of Eucalyptus trees, probably eating the dead leaves. 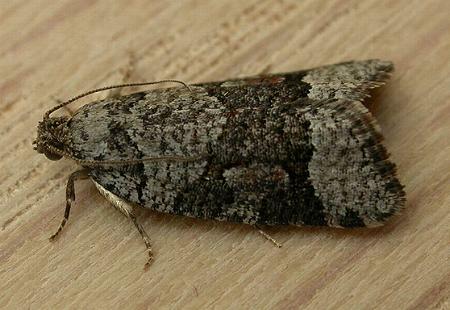 The adult moth of this species has wings that are grey, with a broad dark fragmented 'Y' shaped mark on each forewing. The wingspan is about 2 cms. The pheromones of this species have been investigated. Series 1, Volume 6, Part 3 (1881), pp. 497-498, No. 15.